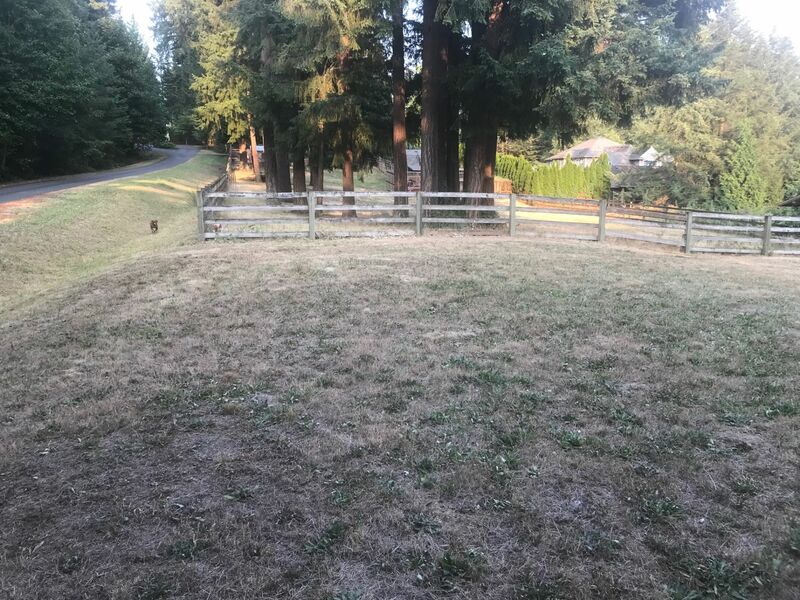 This is a large lot just up from downtown Woodinville. It is level and treed. It is off 156th on a private lot surrounded by up scale homes. The paved road (193rd) is actually part of the property and you may construct your access to your new home anywhere along 193rd. The hobby barn is included and the chicken pens are easily enough removed. The current owner maintains bees in one corner of the property underneath a hive cover which will not bother the casual observer. Please contact the owner prior to entering the fenced area.